As I mentioned a few days ago, Ed DeCaria’s Madness! Poetry competition is underway – and the number of “authletes” that began the competition (including Yours Truly) has already been whittled down. Madness! Poetry is a bracketed-style competition; each authlete is given a particular word and has 36 hours to write a children’s poem using that word. Fellow writers, students, teachers, everyone is encouraged to vote for their favorite poems as the number of authletes drops from 64 to 32 to 16 to 8 to 4 to 2…and finally the winner s crowned. Once again, I did not make it out of the first round, so I’ll be watching and voting from the sidelines…but I encourage you to follow it throughout the next couple of weeks! 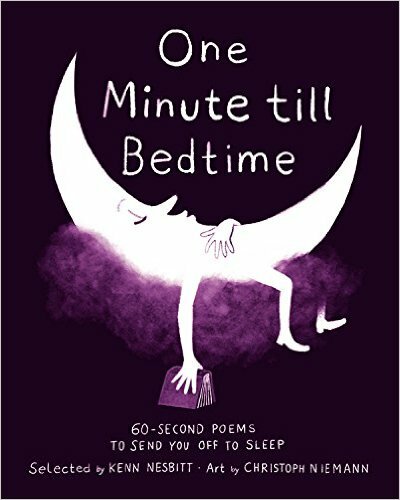 Today, I’m sharing the poem I wrote for the competition because – even though I only had 36 hours to write it – I like the way it came out and the message it conveys. Is it perfect? No…but it says what I wanted it to say. with me in their sights. I don’t let it show. they won’t have much fun. Interesting how poems form themselves. When I saw the word was “pelt,” my first thought was the fur of a raccoon or wolf. I immediately eschewed that definition, as I felt it would be too difficult to write a kid-friendly poem about dead, skinless animals. Just a hunch, of course. So I then thought about being pelted with snow or sleet or something like that, but I figured that would be the obvious way to go – and I’m all about finding the unexpected angles. It didn’t take me long to recall my younger days (long before anti-bullying messages and hashtag campaigns) when I struggled with physical and mental abuse from other students on a near-daily basis. I didn’t want the poem to be didactic, but I did want to say something meaningful. As I mentioned to some of the folks who were voting on my match-up with Savannah Rogers, it’s a lot easier to say “don’t play their game” than it is to actually not play it. Still, I felt it was an important message. I had no one with whom to talk when I was younger (my folks just figured kids were being kids and didn’t do much to help me), so having adults in a kid’s life who can help guide him/her can make a world of difference. Congratulations to Savannah or winning the first round – she’s now gearing up for Round 2! 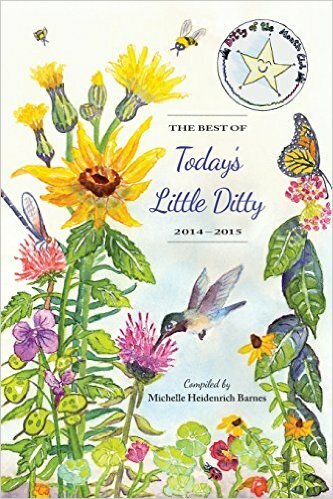 And speaking of poetry, my friend Michelle H. Barnes is hosting Poetry Friday today at her blog, Today’s Little Ditty, so please stop by for the complete roundup AND a month-long poetry prompt from Nikki Grimes. Blogger/writer Ed DeCaria’s Madness! Poetry competition is underway! Sixty-four “authletes” (including Yours Truly) have been given random words – and just 36 hours – with which to craft children’s poems, and the poems are now awaiting your approval! Madness! Poetry is a unique, bracketed-style writing competition; writers, students, teachers, everyone is encouraged to vote for their favorite poems as the authletes battle it out, head-to-head throughout the month, culminating with the final showdown between two worthy opponents. If you are a teacher or know of a classroom that would like to learn more about poetry and writing and would like to participate by voting, please sign up today! Each year between 100-200 classrooms participate, and we’d like to see that number grow. You can view all the match-ups HERE, and then vote for your favorites. (If you click the link and scroll down, you’ll find mine – but please don’t vote for my poem just because it’s mine. We all want this competition to be fair and honest, so only vote for the poems you think are the best!) Thank you! 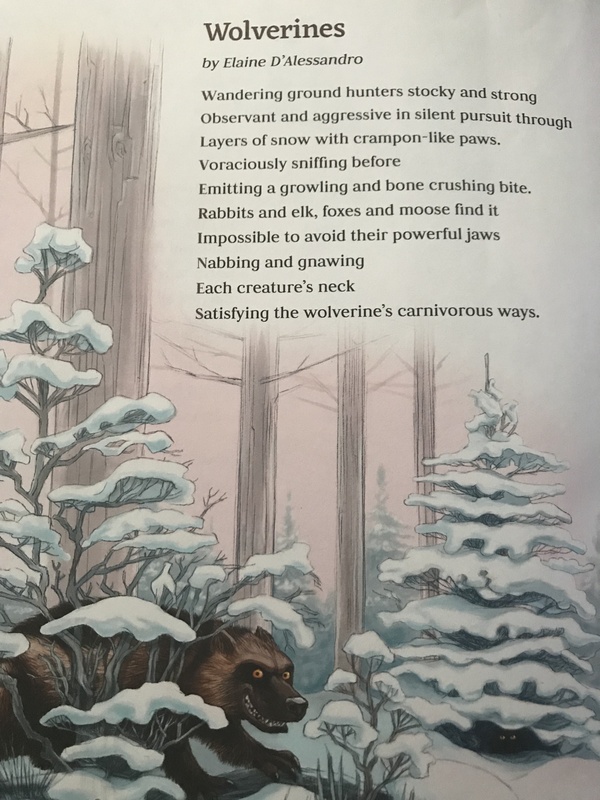 Once again, I am out in the first round – not sure how that always happens – but I do know my competitor, Alison Dellenbaugh, wrote a cute little poem about Bigfoot that won the hearts of the voters, and I wish her well as she moves on to round 2! Madness!Poetry, as the contest is called, is a bracketed competition similar to sports brackets, where we start off with 64 teams (or in this case, “authletes”), and after the first round that number is whittled down to 32…then 16…then 8…and 4…until we have two finalists vying for the championship. who tried to remove them non-surgically. and took too long telling his tale. I had a feeling that my abundant use of verbose language might be my undoing, but once I nailed down my plan – and punchline – I knew I was going to need to pull out the trusty ol’ thesaurus. 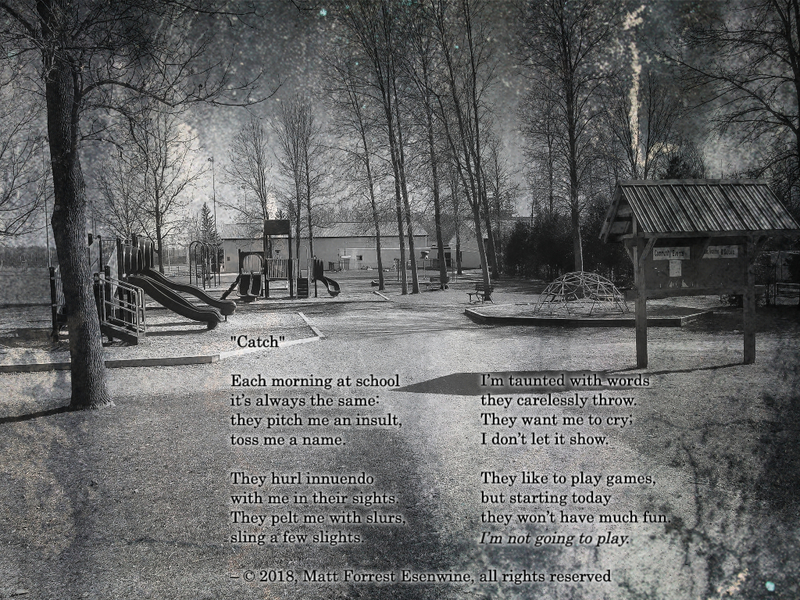 And win or lose, I really liked how the poem turned out, and that was the important thing to me. So be sure to check out all the action (and vote!) at the Madness!Poetry website, and if you’re looking for more poetry, visit Michelle H. Barnes at Today’s Little Ditty for the complete Poetry Friday roundup! 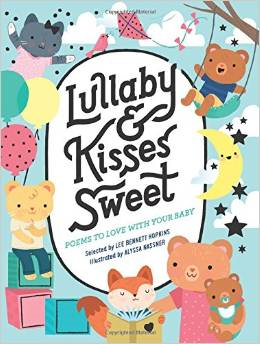 It’s been a long time since I’ve posted on Tuesday – increased parenting duties and less available time to write can put a crimp in one’s blogging schedule – but I had to share a quick little update about a fun competition that is underway. As I mentioned a couple of weeks ago, a fun, familiar poetry challenge is back for another year! What used to be known as MMPoetry (short for March Madness Poetry), has now been reborn with a new website and new name: Madness!Poetry. As in past years, Ed DeCaria at Think Kid, Think! hosts a bracketed poetry competition similar to that famous March college basketball tournament which is full of “madness,” but which we can’t speak of by name due to potential infringement of a registered trademark. 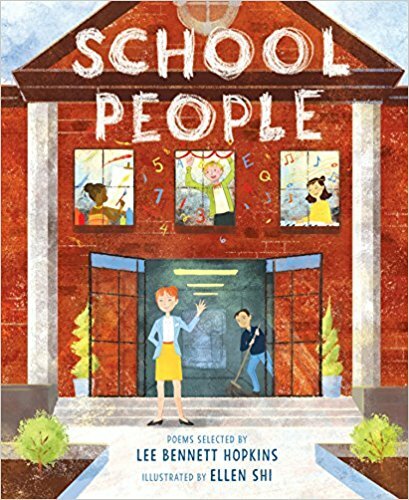 The premise is simple: each of 64 “authletes,” as Ed calls us, competes against another by writing a poem using a specific word we’ve been given. (In my case this year, that word is “behemoth” – which may sound challenging, but it’s better than past words I’ve been saddled with, like “appendage” and “verjuice!”) Fellow writers, teachers, students, and the general public are encouraged to vote for their favorites, and whoever wins each match-up moves on to the next round, then the next round, then the next round…until two authletes go at it head-to-head, mano a mano, to determine the champion. Ed has been quite a busy fellow; for the past year, he’s been tweaking the structure and voting process, creating a new website, and basically re-branding the entire thing, now that we all have seen just how huge this little idea of his became. You can learn more about Madness!Poetry and see who is battling who by checking out the website HERE. I submitted my First Round poem on Monday afternoon, and all the poems will be posted Tuesday morning at the Madness!Poetry website – so please check out all the poems as they are posted, vote for your favorites, and keep following along! 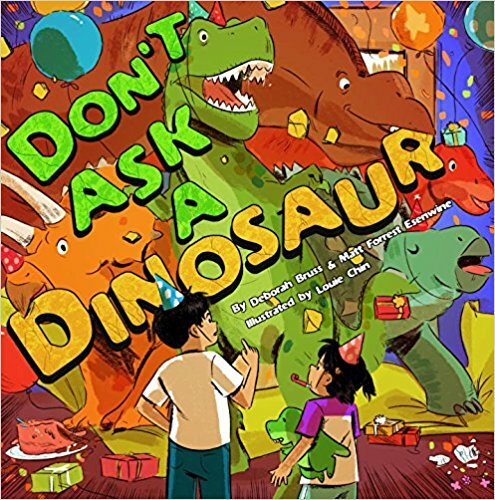 It’s a lot of fun even if you’ve never written children’s poetry, because some of the solutions the writers come up with in order to use their words are pretty creative. After 4 years of competing, I’ve never made it out of Round 1…so I’m hoping this is the year…we’ll see! Poetry Friday: Poetry Madness Returns! What am I talking about? Well, back in 2012, Ed DeCaria at Think, Kid, Think! created a children’s poetry competition styled after the NCAA March Madness tournament, where 64 poets (or, “authletes,” as he calls them) would battle each other by writing poems using random words they were given for each round. It was a lot of fun for 3 years – but then Ed decided to take 2016 off. Those of us who participated each year wondered what he was up to, but we knew he had some plans he was working on. Sure enough, it’s back this year, redesigned, reorganized, and renamed! I encourage you to learn more at the Madness! Poetry website, where you can learn mroe about the competition, see who’s competing, and – once it gets underway – follow along with all the authletes and poems, and vote for your favorites. Yes, a bit heavy for a children’s poem…but that was what I came up with. (And I just had to use a $64,000 word as the title!) Fellow writer and Poetry Friday family member Robyn Hood Black and I battled it out, head to head, poem to poem, and she eventually went on to the next round. But I’ve always been proud of this little poem, so I hope you liked it. 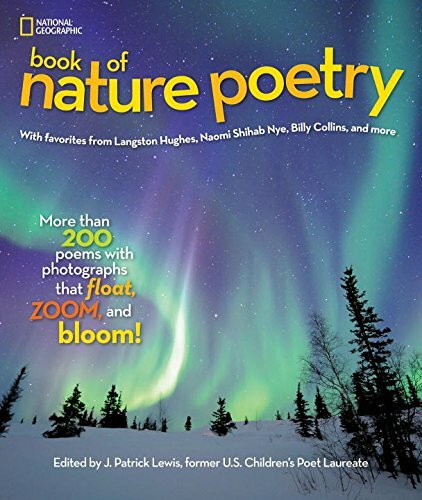 Karen Edmisten is hosting Poetry Friday today, so for the complete Poetry Friday roundup, head on over and say hi and enjoy her “Snow Day” with Billy Collins!